For more than a century, Wayne Insurance Group has been helping Ohioans avoid losses or recover quickly when losses occur. 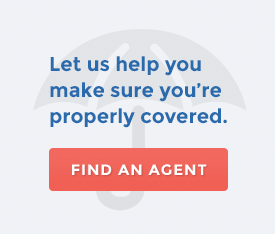 If a storm damages your roof or if someone is injured on your property, you're faced with a property or liability loss... and any loss, no matter how small, can be an upsetting experience. Your Wayne Insurance Group agent should be your first point of contact. The agent will record the details and immediately forward your claim to the Wayne Insurance Group claims staff. Our experienced professionals are ready to assist you in this difficult time. We will work to provide a prompt, fair response to your claim, helping you recover from your loss as quickly as possible. We offer a number of ways to submit your claim. If your Wayne Insurance Group agent is unavailable, you can call Wayne Insurance Group’s office directly. Or, if you are unable to reach someone after hours, our online form allows you to submit a claim at any time. Quickly find answers to your questions about submitting a claim. Wayne Insurance Group has had successful dealings with these property repair providers in the past. Wayne Insurance Group, in furnishing this list, does not guarantee or warrant the fitness or workmanship of any work or product which any vendor on this list may provide to anyone. Past good performance is not a guarantee of future good performance. Wayne Insurance Group guarantees that Preferred Auto Body Repair Shops will perform quality work. Wayne Insurance Group guarantees the insured’s satisfaction with the repairs performed by these shops for the remainder of the time he/she owns the vehicle. We’re always looking for ways to improve our service. Let us know your opinion of our claims service. And if you have suggestions that could make your experience even better, please tell us.